1. Extracts by exhibition curator Tse Hao Guang, taken from “Khoo Seok Wan—Poet, Scholar, Revolutionary, Romantic” by All Things Bukit Brown. Bukitbrown.com. 2. 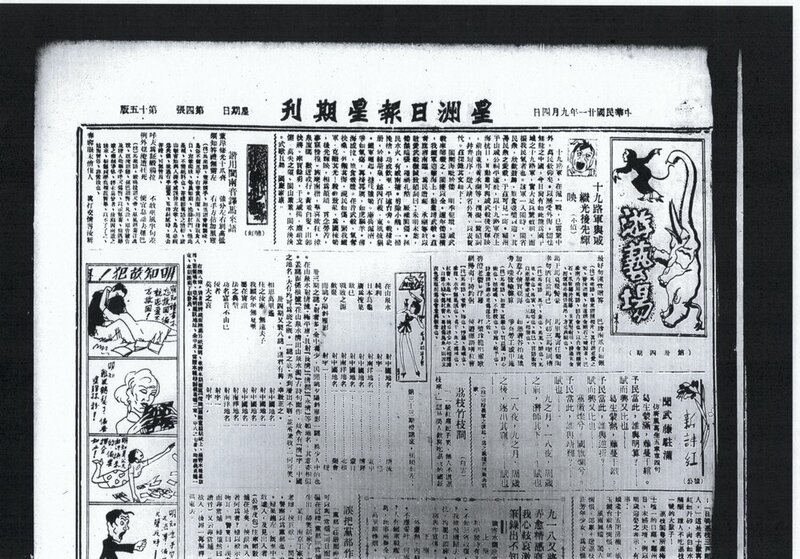 A recording by Hing Jia Wen, of “諧用閩南音譯馬來語” by Khoo Seok Wan. 3. 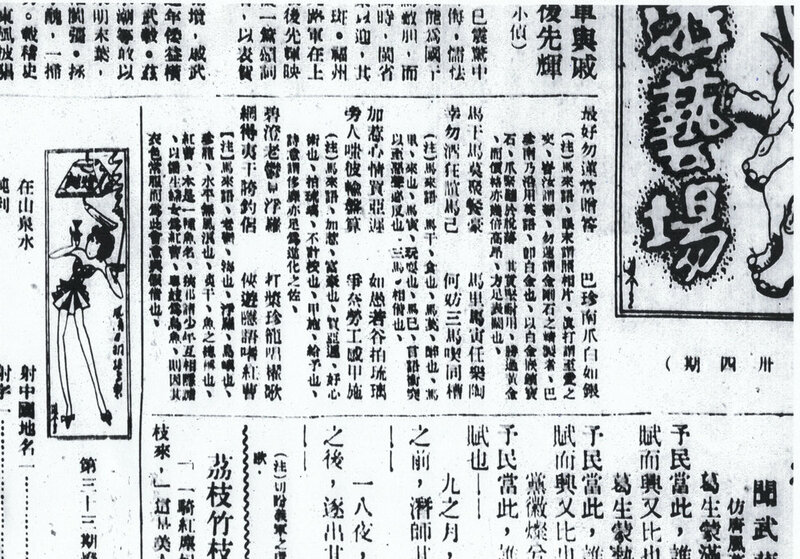 Scans of the pages of “諧用閩南音譯馬來語” by Khoo Seok Wan published in Sin Chew Jit Poh Weekend Edition, preserved on archival film negatives. NLB.